PRO-TECH carries a host of pre-validated pouches and trays that are stocked and can get you to market quickly with lower costs. These materials have been tested on our equipment with aging studies for up to 5 years. Our components are made from premium materials and can be used in various combinations to form single and dual sterile barriers. Combine with stock labels and secondary packaging for a total packaging solution. Need packaging solution for tight deadline? 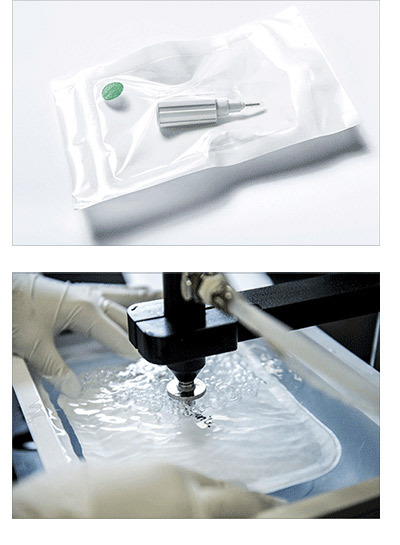 PRO-TECH specializes in Medical Device Assembly and Packaging that meets our customer needs. We work closely with our customers to develop packaging and assembly solutions that meet their quality and budget requirements. We leverage stock materials and customer design elements to create robust and cost-effective packages. A customer designed a catheter kit with small accessories. The customer did not have time to develop custom packaging, had a very tight timeline for product launch, and needed guidance for medical device sterilization requirements. PRO-TECH used stock pouches, leveraging existing validations to establish sterile barrier and shelf life for the catheter. The packaging design used a customer backer card to secure the catheter and components inside the stock pouch. Our validation experts recommended sterilizing by EO, and developed an adoption protocol into PRO-TECH’s existing cycle to save cost and time to market. Development and validation activities were successfully completed within eight weeks. The customer met their deadline, on budget, with 100% quality, leading to a successful product launch. PRO-TECH’s multiple facilities and redundant equipment helped ensure a smooth transition from clinical samples to full market scale up.